What does NHS England do? Our NHS Executive Group provides leadership across our organisation and collectively ensures we adopt a wider perspective and take a whole system approach, which is vital for implementing the NHS Long Term Plan. The group currently meets monthly, jointly chaired by our chief executives, to agree a set of clear actions to ensure effective and consistent implementation of priorities across our teams. You can find out information about NHS Improvement’s Board on the NHS Improvement website. 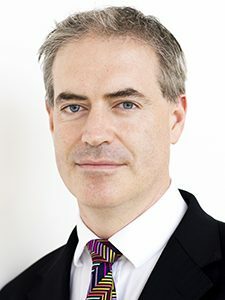 Ian Dalton, CBE, became Chief Executive of NHS Improvement on 4 December 2017. Ian has an exceptional track record with over 30 years’ experience in the NHS and the wider health sector. He joins us from Imperial College Healthcare NHS Trust where he is Chief Executive Officer. Ian has held a number of senior provider, regional and national NHS roles throughout his career including Chief Operating Officer and Deputy CEO at NHS England and Chief Executive of NHS North of England, the North East Strategic Health Authority and two acute hospital trusts. 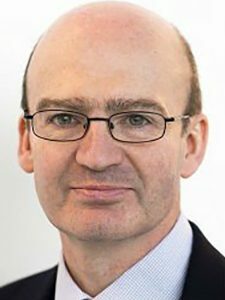 Matthew joined NHS England in May 2016 as National Director: Operations and Information. Prior to this he was Senior Vice President for Population Health and Global Strategy at the Cerner Group. 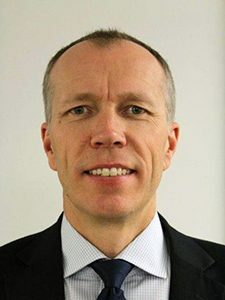 He has over 25 years’ experience in health care services and has worked in the Department of Health as a Chief Information Officer and as a Senior Policy Advisor to the Secretary of State for Health. Prior to this he served as a Principal Adviser in the Prime Minister’s Office of Public Service Reform. He began his career at Guys and St Thomas’ Hospital, and went on to become Director of Clinical Services of Heatherwood and Wexham Park Hospital and later Chief Executive of the Royal Surrey County Hospital. 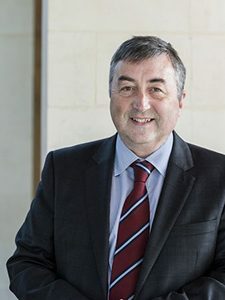 Prior to joining the NHS Executive Group, Julian was Director General Nuclear, leading the Defence Nuclear Organisation at the Ministry of Defence. 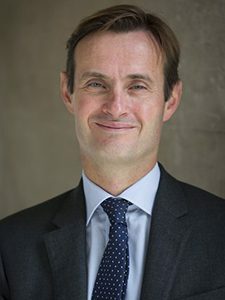 Previously he was Director General of Public Spending and Finance at HM Treasury, and has held a number of other senior roles including with the UK Border Agency, and in the private sector with HSBC. He is a qualified chartered accountant and member of Chartered Institute of Management Accountants (CIMA). 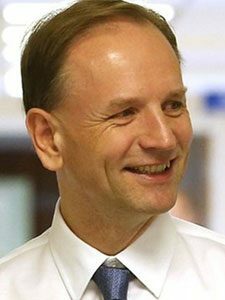 Since the start of 2018 Stephen has been National Medical Director of NHS England. He is also Professor of Renal Medicine at University College London. 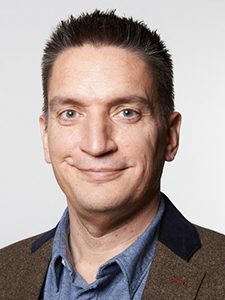 Previously he was Medical Director (and latterly Group Chief Medical Officer) of the Royal Free London NHS Foundation Trust from 2006 to 2018. Professor Powis was also a member of the governing body of Merton Clinical Commissioning Group for five years and a Director of Healthcare Services Laboratories LLP. He is a past chairman of the Joint Royal Colleges of Physicians Training Board Specialty Advisory Committee for Renal Medicine and a former board member of Medical Education England. He was Director of Postgraduate Medical and Dental Education for UCLPartners from 2010-13. 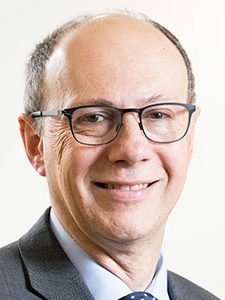 He is a past treasurer and trustee of the British Transplantation Society and a former member of the UK Transplant Kidney Pancreas Advisory Group. Ruth is the Chief Nursing Officer for England and an Executive/National Director at NHS England and NHS Improvement. She is also the National Director responsible for infection prevention and control. 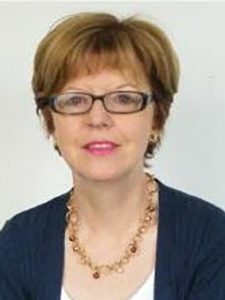 Ruth was appointed following her roles as Executive Director of Nursing at NHS Improvement, which commenced in April 2016, and Director of Nursing at Monitor, the healthcare sector regulator. 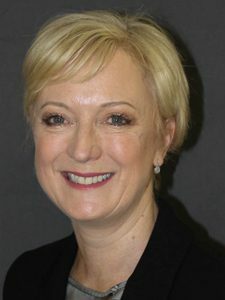 Prior to joining Monitor, she was Regional Chief Nurse and Nurse Director for the Midlands and East region in NHS England, where she championed the ‘Stop the Pressure’ campaign, which nearly halved the number of pressure ulcers in the region, improving care for patients, as well as delivering cost savings to the NHS. 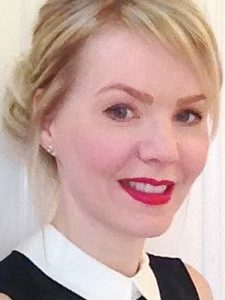 Ruth is passionate about nurturing the next generation of NHS nursing, midwifery and allied health professions (AHP) leaders, encouraging professional development opportunities and working across the health system to put in place the optimal cultural conditions for all NHS employees to thrive. This includes advocating for improved mental health awareness in the workplace, championing volunteer activity to support the frontline workforce and being a vocal supporter of the NHS Workforce Race Equality Standard agenda and increased diversity across the NHS. In October 2005, she became Chief Executive of The Queen Elizabeth Hospital, King’s Lynn, a post she held for two years. She has also been Chief Executive of Mid-Essex Hospital Services NHS Trust. Ian joined NHS England in July 2014. Prior to this he was Director of the NHS Group and Head of Policy Profession for the Department of Health. In 2005/06 he was the Prime Minister’s senior adviser on the NHS. He is also currently an Adjunct Professor at the Institute of Global Health Innovation, Imperial College, London. Emily joined NHS England in November 2017 as National Director for Transformation and Corporate Development. A Molecular Geneticist by background, Emily has recently led a number of large-scale organisational transformations, most recently with Morrison’s. Before this, she worked with McKinsey for 14 years. Emily is also a steering committee member of the 30% Club, which aims to increase representation of women on UK plc boards, and to research and support greater diversity in the UK and global institutions. Anne has been Regional Director of the South East region for both NHS Improvement and NHS England since October 2017. 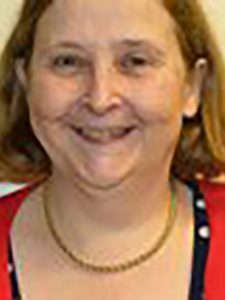 She was Regional Director for the South region for NHS Improvement when the organisation was created in April 2016 and prior to that, she served as Director of Delivery and Development at one of its predecessor organisations, the NHS Trust Development Authority, since 2015. She is lead for all regions on the national performance and delivery group for mental health. Anne has more than 30 years’ experience in the NHS, starting her career as an NHS management trainee and has experience in acute and teaching hospitals, mental health, community and specialist services. 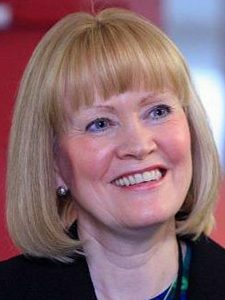 She joined Buckinghamshire Healthcare NHS Trust as Chief Executive in December 2006, and led the integration of the county’s acute and community services in 2010. In 2012 she became a visiting professor at Buckinghamshire New University and adviser to the faculty of society and health, supporting the Institute of Applied Leadership’s MA in Leadership and Management programme. Ann has worked in the NHS for over 35 years. Before joining Kingston Hospital, she was Director of the Better Care Fund programme at NHS England and Chief Executive of the London Ambulance Service, Chief Executive of NHS South West London and Chief Executive of NHS Wandsworth. Bill was formerly Deputy Vice-Chancellor (Operations) and Honorary Professor of Health Policy at the University of Bradford and Chair of Bradford Teaching Hospital NHS Foundation Trust. In a previous role he was the Government’s principal policy adviser on health reforms and has served on various national bodies including the NHS Constitution Forum and the Health and Local Government Strategy Board. 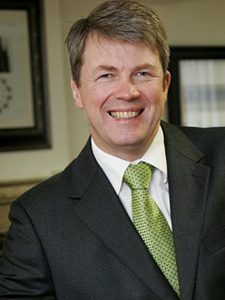 An economist by profession, he has held a number of senior public service appointments including Director-General at the Department of Health, Chief Executive at City of York Council, Chief Executive of NHS Yorkshire and the Humber and, most recently, National Policy Director at NHS England. Bill was appointed a Non-Executive Director at Bradford Teaching Hospitals Foundation Trust on 1 November, 2015, and Chair on 1 November, 2016. 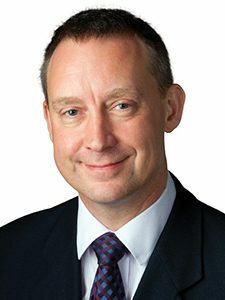 Dale has been Regional Director of the Midlands and East region at NHS Improvement since the organisation’s creation in April 2016 and prior to that, he served as the Director of Delivery and Development at one of its predecessor organisations, the NHS Trust Development Authority, since 2012. Before that, Dale was the National Director of Provider Delivery at the Department of Health, the Director of Provider Development for the Midlands and East Strategic Health Authority (SHA) Cluster, and Director of Performance & Operations within NHS East Midlands. He spent the first 10 years of his career working in a variety of senior operational roles within NHS acute hospitals. 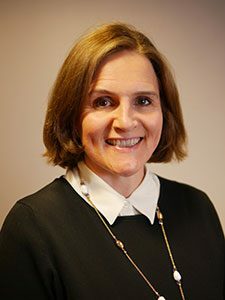 Elizabeth is currently Chief Financial Officer at NHS Improvement, having previously been the Director of Finance at the NHS Trust Development Authority. She has over 25 years NHS experience and has spent most of her career in NHS finance and held a number of senior roles in complex organisations at a national and regional level, including as Director of Finance for the South West Strategic Health Authority. She is a fellow of the Association of Chartered Certified Accountants. 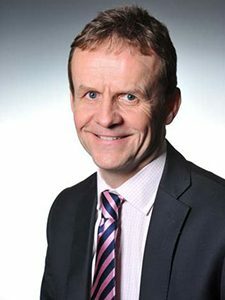 Richard joined NHS England as North Regional Director in 2012. Prior to this he was Chief Operating Officer of NHS North of England. Previous roles include Executive Director of Operations and Performance for North East Strategic Health Authority, Chief Operating Officer for NHS South of Tyne and Wear and Executive Director within Newcastle upon Tyne Hospitals FT. He began NHS management in 1984 and his early career included senior roles with the Regional Health Authority, District Health Authorities and Hospital Management. Prerana combines senior public service experience with strong skills from the private sector. She joins from the United Nations, where she was the Chief Human Resources Officer for the World Food Programme for four years, after which she took on the role of Director for Public-Private Partnerships for the past two years. During her tenure as head of Human Resources, Prerana led the development of the UN’s first strategic human capital approach, as well as the reform of many key policies. 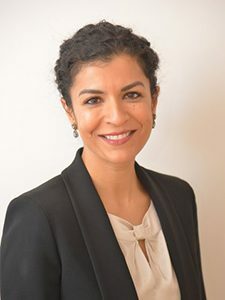 Prior to the United Nations, Prerana worked for more than 15 years at Unilever PLC, starting with them in India, and then for several years was in global roles at the Unilever headquarters in London. Her last role in Unilever was Vice-President HR for the Global Foods business. Prerana brings a wealth of expertise in leadership development and strategic talent management, as well as diversity and inclusion. She is a passionate and committed advocate for diversity at all levels and all jobs, and applies this lens to people-related decisions, policies and processes. 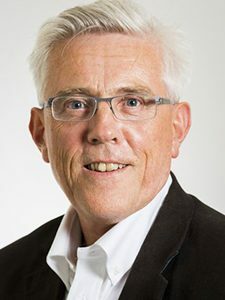 Hugh had a long standing interest in Patient/Client Safety and Quality Improvement, leading and participating in a range of strategies, programmes and initiatives at national, regional and Trust level. In particular he has made QI the central strategy for the South Eastern Trust over the past ten years. This is now fully embedded and has led to significant demonstrable improvements in the Trust’s performance across a wide range of clinical, workforce and cultural areas as well as financial effectiveness. The Trust established a QI Academy which has resulted in more than 4,000 staff being trained in QI. The Safety, Quality and Experience (SQE) approach adopted by the Trust has received considerable national and international attention. Pauline has been the National Director of Urgent and Emergency Care since December 2015, acting on behalf of both NHS England and NHS Improvement. Prior to this she was Chief Executive of Luton and Dunstable University Hospital Foundation Trust. A nurse by background, Pauline has previously also worked for the World Health Organisation, has an international track record in patient safety, and has led the successful performance of Luton’s hospital services for a number of years.